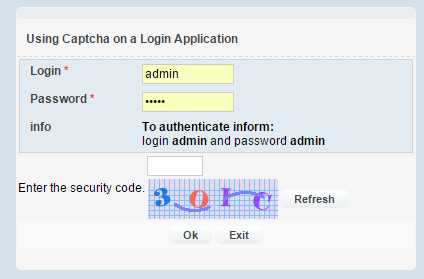 In this example will be developed a login form using Captcha feature. 1. Create a new application of type Control. 2. 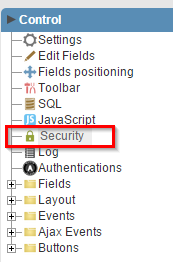 In the application menu to access the Fields folder and click on the New Field. 4. 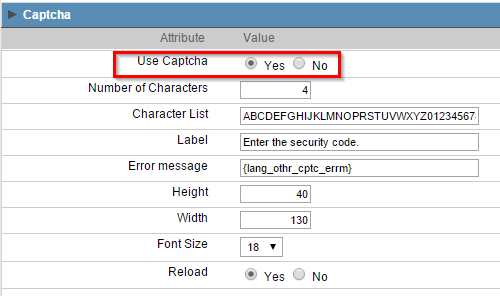 In the application menu item click the Security tab and go to edit Captcha. 5. Change the property Use Captcha to Yes. 6. 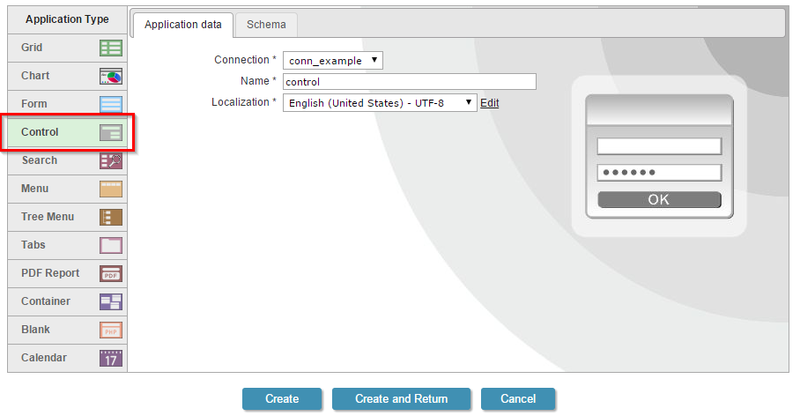 Click on the button “Run application”.